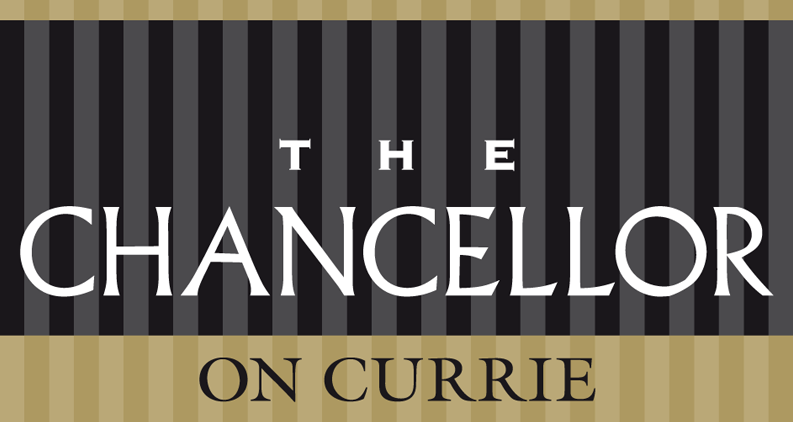 When you’re searching for a place to stay in Adelaide's CBD, choose from one of The Chancellor on Currie's 64 contemporary rooms, featuring thoughtful amenities, such as free Wi-Fi, executive work desks and fully stocked minibars. 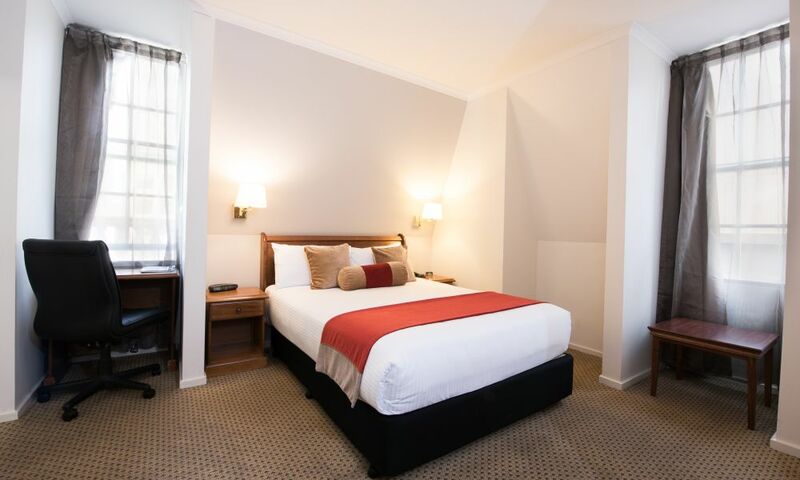 If you’re looking for a place to relax after a long day spent immersing yourself in the art, culture, and entertainment Adelaide City is known for, our 4 star boutique hotel centrally located among Adelaide’s greatest attractions is the perfect place to unwind. 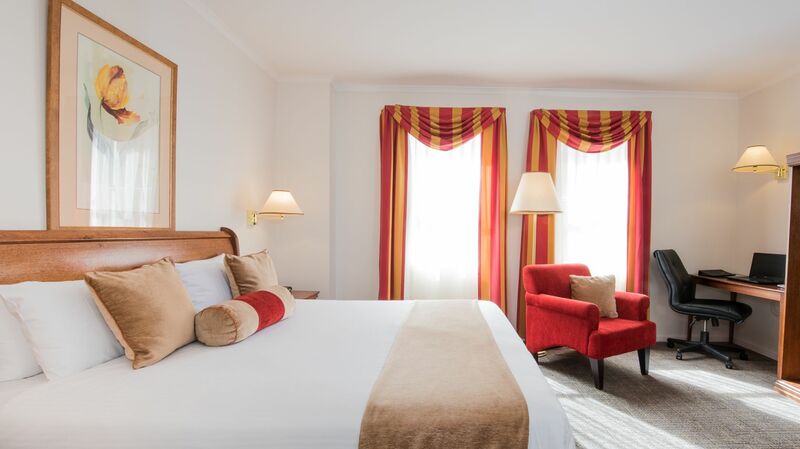 For those looking for a little luxury or even a night of romance, this room has the perfect accompaniment. 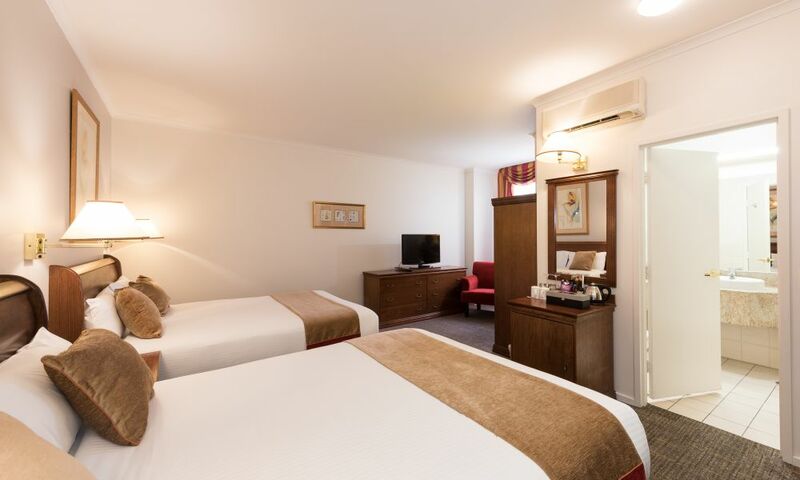 Featuring a generous size king spa located in the corner, this room has a very open spacious feel whilst still offering a boutique style appearance. 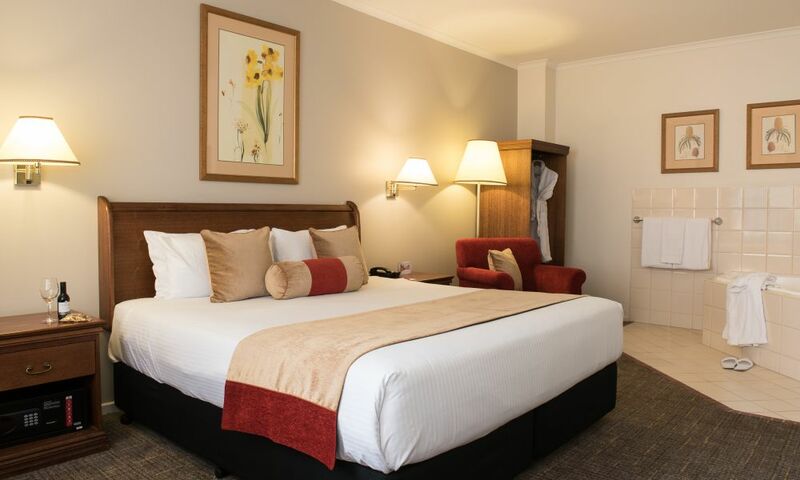 Featuring a separate lounge, bathroom and bedroom with individually controlled air conditioning and digital TV in both the bedroom and lounge area, this room is ideal for those wanting a little extra room to move. 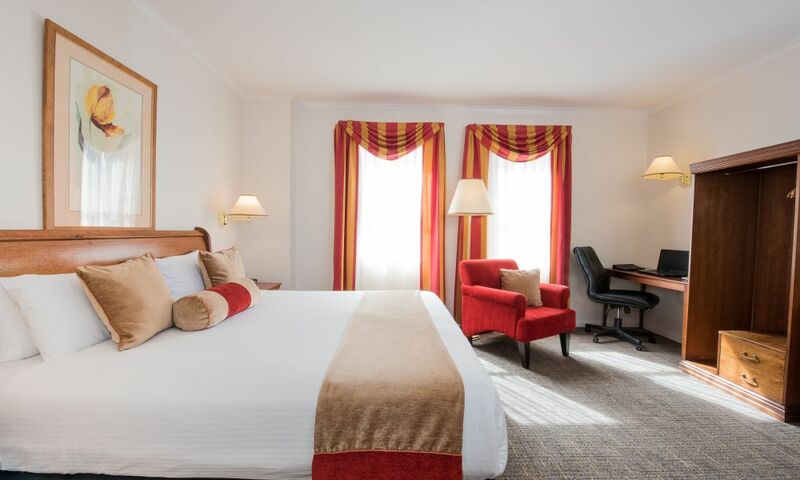 Featuring two stylishly appointed queen size beds in a generous size room with ample wardrobe and storage space, digital TV, complimentary Wi-Fi, double glazed windows and individually controlled air conditioning. 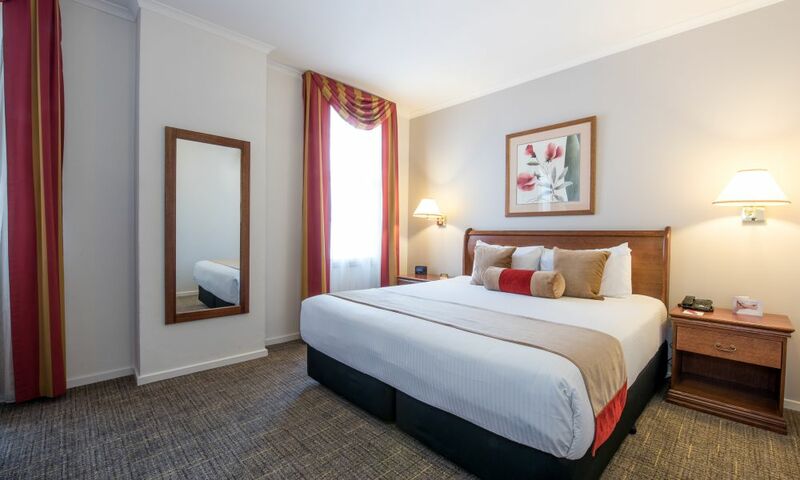 Featuring a stylishly appointed king size bed with ample wardrobe and storage space, digital TV, complimentary Wi-Fi, double glazed windows and individually controlled air conditioning. For the budget conscious traveller, this style room includes a Queen bed, separate bathroom with shower or shower and bath combination.